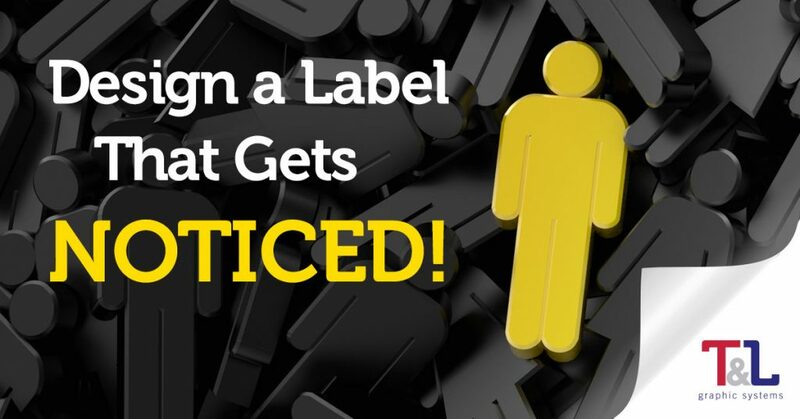 Design a Label That Gets Noticed! They say you can’t judge a book by its cover, but business owners know: customers certainly judge a product by its label! It turns out customers often buy a product simply based on the outside packaging. In fact, in a study of beer drinkers, almost none of them could identify a brew without the label. Consumers often buy simply because they like the look of a label or sticker. Your product label needs to be eye-catching. It needs to grab your customer, convey a message, stand out, and effectively get noticed. That’s a lot of work for a simple label! Yet, we see examples of effective, beautiful labeling every day, with almost any product we handle. So if you’re wondering how to design a label that gets noticed, there are a few basic graphic design elements to understand. Here’s what you need to know to ensure your product label conveys exactly the message you want customers to receive! The shape of label helps to draw in customers’ attention. You should select a shape to complement your packaging, but you aren’t limited to shaping to fit just one product—using variable printing, you can ensure one label design will work across several different items. With a few simple changes to the product style name and UPC (for more on obtaining a UPC visit GS1US.org), a similar label design and shape will make your entire line appear cohesive. Design your label with the product packaging in mind—how much of the product do you want to show through? Size, shape and cut play an important role in helping your product stand out. Bold colors grab your customer’s attention with a splash. Color graphics and photos are an important addition when you want your label to pop. Follow your company’s branding guidelines of course. Full-color (also known as process or CMYK printing) will ensure you’re able to match your brand PMS (Pantone) colors exactly on your label. Your base label color is also important—choosing a clear, white, cream or even foil background will have a huge impact on the look and feel of your label. It will also change the way the colors appear on the final product. Basic color psychology teaches us neutral, calm colors convey peace, luxury and comfort. Bright, crisp colors on the other hand, keep your product looking modern and fresh. Much of what we remember about a label comes from the style and design (it’s also much of what can go wrong when you design a label). The design of a label makes appear memorable and distinctive. 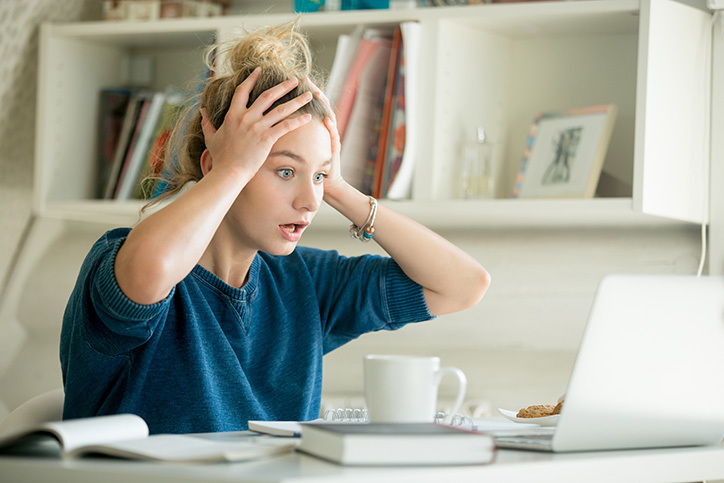 Of course, you’ll want to include your logo, but you also need to include important product details, measurements, instructions and other important pieces of information (including the UPC barcode). Font plays into the style of your label as well. Serif fonts convey your brand is classic, stalwart and trust-worthy. Sanserif fonts are often used to convey a brand that’s sleek, modern and hip. Using typography parings will also catch consumers’ eyes, but limit yourself to no more than three fonts to avoid looking too busy. Striking, bold images and graphics will help you maximize your message, but don’t shy away from using whitespace as well. Your label finish is the final touch to packaging a great product. Use touches like metallics, foils and embossing for extra special labels where your design will appear to leap right off the package. Matte or glossy finishes are available for almost any label. UV curing will add a layer of protection to keep your label from smearing, fading or getting damaged. Laminations help resist moisture and stand up to harsh environments. Label protectants are available to help your label hold up anywhere your product goes—from the microwave to a garage to the outdoors. Knowing how to design a label and choosing the right label for your product is a big job—we can help! If you have custom printing label needs, T&L offers great label solutions for any product. There is no denying that color is an important influencer in the products we buy, the opinions we form and the choices we make. 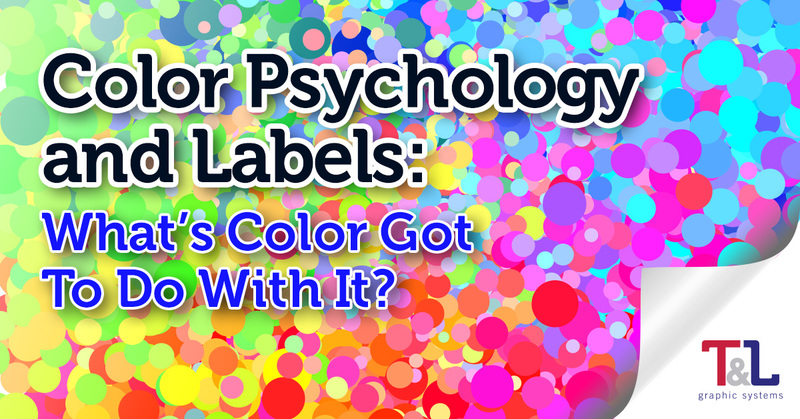 Up to 90 percent of people base their buying decisions on color... so businesses feel the pressure to get their label colors right. If you're not sure where to start when it comes to selecting the perfect colors, we can give you a hand. Red: Raises people’s blood pressure and heart rate, and is often associated with movement, excitement, passion and danger. Orange: Stimulates areas of the brain that trigger feelings like enthusiasm or anxiety, and is considered a confident, warm and cheerful color. Yellow: Increases mental activity, is often used to highlight important points for memory, and is associated with happiness, caution and energy. Green: Promotes harmony and balance in the brain, and is synonymous with health, nature, peacefulness and envy. Blue: Associated with security, logic, and a calm mind, but can feel uninviting. While it’s helpful for you to understand typical associations people have with colors, you also must consider the context of your audience. Before selecting a label color, think about the industry, cultural, competitive or gender perceptions that could impact the effectiveness of your marketing or communications. Take yellow, the “happiness color,” for example. While this may seem like the perfect uplifting hue for hospitals, there are industry-specific use cases for yellow, such as prevention protocol, care instructions, and fall-risk notifications, that might deter its use within a medical setting. Complementary: Colors located on opposite sides of the color spectrum, like blue and orange, are defined as complementary colors. They are effective at highlighting contrast or making a bold statement, but can be overwhelming in large doses. 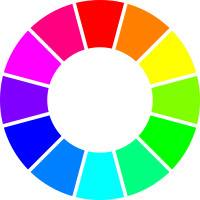 Analogous: Neighbors on the color wheel, analogous color combos coexist nicely and evoke feelings of harmony and serenity, making them ideal for grouping related components, text, or visuals. Triad: This color scheme uses any combination of three evenly spaced colors from around the color wheel, such as shades of green, violet, and orange. To ensure your information stands out, leverage one dominant color against two supporting accent colors. Just because your color choices work well with one medium, doesn’t mean they will translate to your custom label. We are well-versed in the psychology of color, design, and label best practices, let’s chat about your project. When a simple one-sided label won’t do the trick, you need a “wow” label. Here are our favorite unique labels, that will elevate the functionality and appeal of your product. Whether you want to reach customers with direct mailings or at a point of purchase, instant redeemable coupon (IRC) labels are an eye-catching alternative to traditional clip or tear-away coupons. Using an intuitive, dry peel-off card design, IRC labels provide consumers with an interactive and immediate way to access promotional offers, coupon codes, barcodes, sweepstakes, rebates and more. Ensure that your IRC label functions properly by using an ultraviolet (UV) coating to protect and secure the print below the peel-off layer and a residue-free adhesive that holds without the mess. Scratch-off labels are another creative and interactive solution for delivering information or promotional offers. Scratch-off labels use a tear-proof film material, topped with a scratch-off primer and metallic ink layer, to create an engaging, hands-on customer experience. High quality, fresh ink is a must. If you’ve ever encountered a poorly functioning scratch-off, it’s likely a result of low-quality or expired ink. The ink, which only has a three-month shelf life, is specially formulated and must be mixed to order, so plan on about eight to 10 days for order completion. Piggyback labels are the ultimate convenience labels, providing users with a handy pre-printed or blank label that can easily be removed and applied anywhere. As the name implies, a piggyback label consists of two labels, where one label piggybacks, or sits atop, another label. A middle layer is used to adhere the top layer, or face of the label, to a bottom liner that sticks to the surface to which it’s applied. Piggybacks have seemingly endless customization options, so think through the features and use cases that will help you reach your goals and a positive return on your label investment. Often utilitarian, variable image labels pack the ultimate punch for manufacturers, supplier, distributors and direct mail advertisers. Have you ever checked the status of a package to find that it’s at a particular pre-shipping location? Well, that detailed tracking was likely made possible by a scannable barcode printed on a variable image label. These truly one-of-a-kind labels contain barcodes, personalized text, images or other information that changes from one label to the next, which allows companies to scale their operations while maintaining control over things like inventory, marketing messages, routing and complex workflows. Thanks to advances in printing technology, variable printing is a cost- and time-effective way to customize individual labels. However, mistakes can be costly, so remember to carefully proof your data, such as sequential numbering logic or copy variations. If you’re looking for a resilient label that will withstand everyday wear and tear, dirty, or even extreme outdoor conditions, self-laminating labels stand above the rest. These durable and customizable labels typically consist of a smudge-free layer for writing and an overlying, clear laminate layer that can be self-applied by the user. Selecting the best materials for your use case is critical to the success of your self-laminating label, so carefully consider your end users’ requirements for durability, adhesive strength, pliability, colors, pre-printed fields, permanence, and other factors. Finding a trusted label supplier that can help you find the best label - no matter how unique - can be challenging. At T&L Graphic Systems, our experienced team works to understand your needs and find a solution that’s right for you. Check out our latest white paper, How To Create The Perfect Label. Selecting the right printing technology for your labels depends upon a number of factors, including the quantity of labels needed, the label material and ink you require and any special treatments, such as laminating or die-cutting of your labels. For sheer variety of label materials, finishes and inks, flexographic printing offers a significant advantage over digital printing. In addition, most enhancements, such as lamination, die cuts and other special treatments, can be done in a single pass on-press. To do the same with digital labels usually requires separate offline processes. For longer print runs, the unit cost of flexographic printing tends to go down steadily, as the cost of plates and label stock becomes spread out over a larger number of finished labels. In addition, flexographic printing enables you to tweak ink colors as needed to match your brand, by adding other colors to them on press. In contrast, digital inks are somewhat of a one size fits all and depend upon the file specific digital profile to achieve the desired match. In short, you’re dependent upon off press digital file alteration as well as trial and error to obtain the desired result. For short print runs, flexographic printing tends to be more expensive than digital, because it requires the production of printing plates. In addition, the dot patterns it produces aren’t as tight as those a digital press can create. For certain applications, digital printing’s higher resolution gives it the edge versus flexographic printing. Also, digital doesn’t require the production of printing plates. That means you can tweak the design of your labels as needed without incurring additional pre-production costs. As label print quantities increase, the cost of digital printing plateaus compared to flexographic printing. That’s because digital inks tend to be 20 to 30 times as expensive as those used in flexographic printing; in addition, in most cases they must be certified to print on specific label media. This cost disadvantage multiplies even faster for full-color labels; they tend to become cost prohibitive to produce more than 10,000 labels. Digital printing is also limited in the types of inks that can be applied to label media. For example, metallic inks are not available, and most digital printers cannot print graduated tints – a printing technique that requires variable dot sizes. Which printing technique is best for your label application? Contact us to discuss your needs. We’re here to help! In the world of commercial printing, there are many ways to create lasting product label graphics. 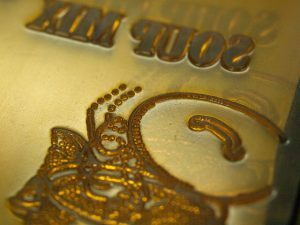 Inkjet, dye sublimation and other printing methods definitely have their advantages, but these techniques are only cost effective in shorter runs of less than 5,000 copies. Flexographic printing, on the other hand, fulfills the needs of larger volume jobs, and it produces results of comparable quality.